Every August since 1947, the best baseball playing 12- and 13-years olds in the world gather in South Williamsport, Pennsylvania to see who emerges the Little League World Series champions. The youngsters are first playing for the LLWS title. However, like any kid who picks up a ball and bat, they are also striving to play on a Major League diamond one day. There are currently seven players on big league rosters who also played in the Little League World Series. Ranger Jurickson Profar and Oriole Jonathan Schoop played together on the 2004 LLWS winning squad from the small Dutch Caribbean island of Curacao. 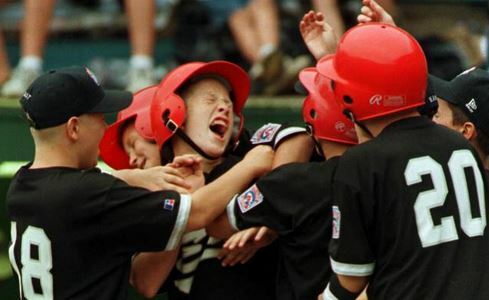 Reds third baseman Todd Frazier won the 1998 LLWS with the team from Toms River, New Jersey. Americans Colby Rasmus and Lance Lynn, Canadian Michael Saunders and Venezuelan Yusmeiro Petit also participated in the Little League World Series. Wilson Alverez, Jason Bay, Derek Bell, Sean Burroughs, Charlie Hayes, Ken Hubbs, Carney Lansford, Jason Marquis, Lloyd McClendon, Lastings Milledge, Boog Powell, Gary Sheffield, Jason Varitek (one of two players to participate in the Little League, College and Major League World Series), Dan Wilson and Rick Wise. Stars of other sports have also played in the Little League World Series. NFL quarterbacks Brian Sipe and Matt Cassel both went to the LLWS, as did NASCAR driver Austin Dillon. 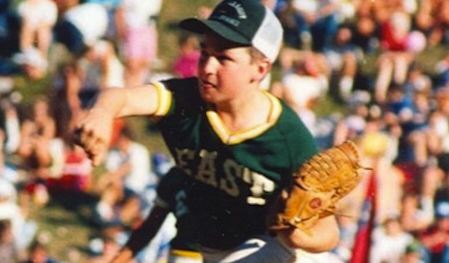 NHL great Chris Drury first made a name for himself as the star of the LLWS from Trumbell Ct., which won it all in 1989. 898 point scorer Ray Farraro was a LLWS participant, as were Pierre Turgeon and Stepahne Matteau, who played together on the 1982 LLWS squad from Rouyn-Noranda, Quebec.